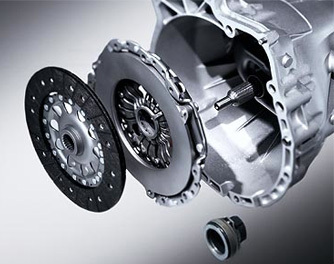 When it comes to BMW transmission repairs, Phoenix has only a few places where you can trust it to be done properly. Few things can cause more stress on a driver than having a BMW transmission problem that no one can fix. Bills Bimmers specializes in BMW Transmission service and will get your luxury import back to full health. We understand that transmission maintenance is the last thing that any driver of a fine vehicle wants to deal with; we make it easy, and solve these problems as quickly and as inexpensively as possible. Though it’s true that nothing lasts forever, well kept machinery will serve you for many years before requiring major service. Aside from normal wear and tear, there is one major thing that needs to taken into account when making sure that your transmission lasts as long as possible; transmission fluid. Transmission fluid is the one thing that you can be proactive about when taking care of your transmission. By taking steps to make sure that the proper level of fluid is used, you can easily extend the life of your transmission. The important thing here is to remember that the level of fluid needs to be within a certain tolerance. Too much fluid and it will froth between the gears, making it impossible to lubricate properly. If there is too little fluid, then the heat from shifting cannot be carried away effectively. Whether you have too much or too little fluid, the effect on your transmission will be premature wear and the necessity for repairs. It is also very important to pay attention to the color and smell of your transmission fluid. Dark fluid is a sure sign of contaminants which will make it more difficult for the gears to operate. As far as smell goes, if there is a burnt smell to your transmission fluid, you could be in for some serious repair work. Understanding a little bit about how a transmission works can be a great help in remembering what it needs to stay in good condition. For example, just the knowledge that most major transmission breakdowns are due to overheating issues can help you remember to check your transmission fluid semi regularly. Also understanding that the gears inside a transmission are actually relatively thin can help you put as little strain on the gears as possible. Once you start feeling the transmission grinding, or the gears slipping, it is only a matter of time before the whole transmission begins to wear out entirely. In the end, it is wise to check the transmission fluid in your vehicle about once a month, and take it in for service if you start noticing any hard shifting or unusual behavior from your transmission. We invite you to utilize the expertise of our master technicians and keep your luxury import in the best shape possible.